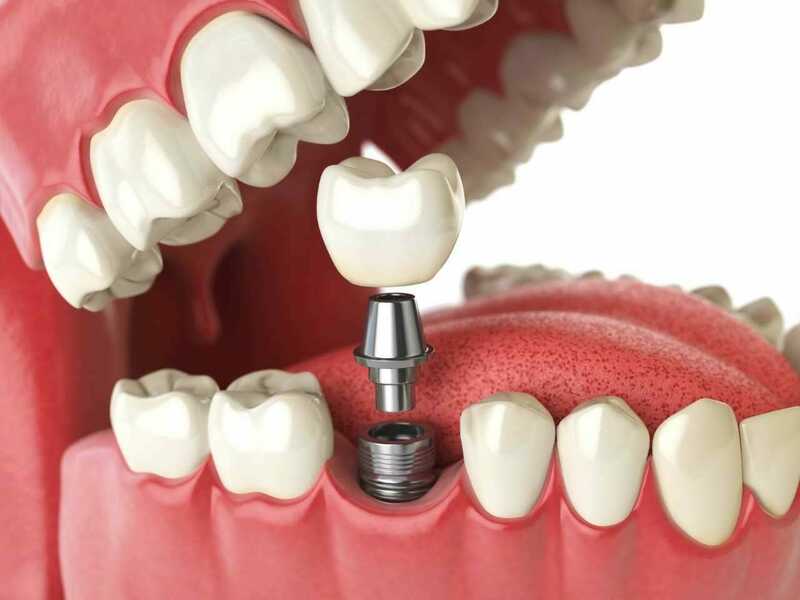 Many patients facing dental implant treatment wonder about the safety of the procedure and the materials used. The idea of placing a titanium post or screw in the body — particularly an area like the jawbone — can give anyone pause. Drs. Shery and Ali Mansouri of Serene Dental Center want to assure patients that titanium dental implants are very safe. They do not put patients at risk of adverse reactions. Not only is titanium safe, it is also durable and dependable. Titanium materials have been used in dentistry and other areas of medicine, such as orthopedic surgery, for decades with great success because of these qualities. The body accepts titanium very well. It is a biocompatible material, meaning it is not harmful to living tissue. The body doesn’t reject titanium, and won’t develop an infection when a titanium piece is placed. The titanium is also resistant to bacteria. Titanium is able to exist within the body without corroding, decaying or developing another complication. Fuses to the jawbone: Once the titanium post or screw is placed in the jawbone, the bone actually fuses to the implant, creating a very strong foundation for the replacement tooth. Supports normal chewing and biting function. A replacement tooth supported by a titanium implant can chew and bite just like a strong, natural tooth. Stimulates the jawbone. Once implanted in the jawbone, the titanium implant stimulates the bone tissue to prevent it from deteriorating. A strong jawbone is essential to supporting the rest of the teeth and the facial structures. Strong: Titanium is one of the strongest metals, yet it is also lightweight. Won’t interfere with X-rays or other imaging tests: The metal is non-ferromagnetic, meaning once it is implanted in the body, it won’t interfere with X-rays or MRIs. Long-lasting: A properly placed and cared-for titanium implant can last indefinitely. Dental implant treatment is not without risk. The safety and success of titanium implants depend heavily on the experience and skill of the dentist placing them. An inexperienced dentist may position or install the implant incorrectly, causing complications or possibly even implant failure. The best way to protect yourself against these and other risks is to select an experienced dentist, like Dr. Shery and Dr. Ali Mansouri of Serene Dental Center, to handle your implant treatment. To book a consultation with the dentists and learn more about titanium dental implants, please call (949) 748-7373 or email Serene Dental Center today.